I sat down to speak with the amazing women of Axelerant, and they each shared their unique perspectives about what it's like being professionals in their field. In this chapter, Shweta, Avni, Trupti, and Karuna expound on this—and in their own words. The first thing you notice about Shweta is her unbridled enthusiasm. It’s catching. She recalls the time she traveled 90 km for work each day, spending three and a half hours in the middle of Pune’s pollution and traffic. After she got married, she switched to an organization that was closer to home, but soon after, the first of her two children was born, and she decided to take a break from work in order to take care of her baby. Shweta’s husband encouraged her to put her daughter into daycare and begin working again, and that’s when she joined Axelerant. This is what a lot of daughters hear from their fathers in India, including Avni’s own friends growing up. “Now, when those fathers see me…” she laughs. 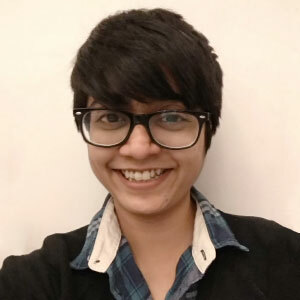 Meet Avni: a high performer in college, who now works as a QA professional at Axelerant while also pursuing a postgraduate degree in Big Data and Machine Learning. Avni has another dream. In about 10 years, she’d like to be running an NGO to empower women from weaker sections in the society. For her, this dream took shape as she worked her way through some challenging questions about three years ago. “When you see certain woman, you can see that they’re being held down,” she says. Avni found it disturbing that while more women in urban spaces are independent today, in rural India, the difference in social status is steep. “Nobody should have to live in a miserable state, whether man or a woman. And women in rural areas really need help,” she says. She plans to help them learn new skills so that they can look after their own needs. Today, she doesn’t have these concerns: “now I work closely with all my technically experienced male counterparts and feel more confident as a woman,” she says. As a QA professional, communication is particularly important for Trupti’s place on the team. 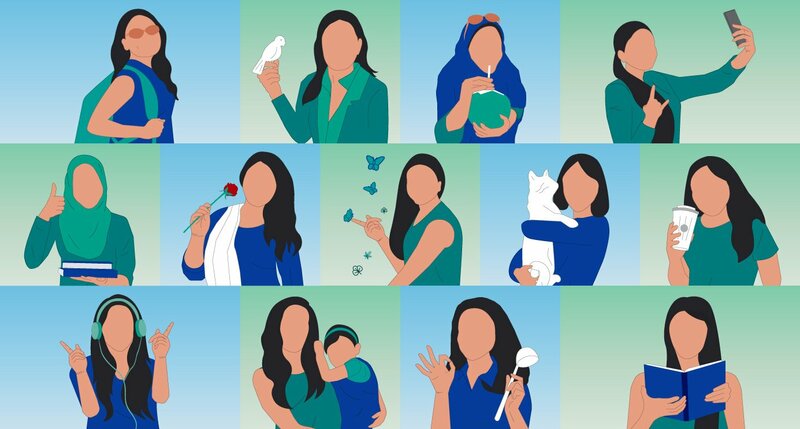 She explains how all the different roles she plays in her life—daughter, wife, sister—bring out particular qualities which help her develop her professional outlook and improve her skills. “Between personal and professional, there’s a bridge that helps. If someone in my family is in a bad mood, I have to understand that and be patient with them.” And it’s this same understanding that informs her work with the team, allowing her to be patient and gentle with teammates, and to keep the peace (even in difficult situations). When Trupti is not at work, she slips into the role of a typical housewife. “When I am free and have no other plans, I’m happy dedicating myself to household work,” she says. As COO at Axelerant, Karuna’s role spans across people engagement, projects, process and operations management through direct involvement or consultation as needed by the ecosystem collaboratively. Outside of work, Karuna spends time learning about spirituality and evolved consciousness, trying to become the best version of herself, either through books or social media. Her ambition is to learn, grow, and evolve every day to help herself and the world around her. Because she is single, managing work and life have not been difficult for her. When things get challenging, she manages through re-prioritization and re-arranging her task list. “One needs to be good at multitasking in a position like mine, where you’re heavily involved across the organization,” she says. In contrast, she recalls the time when she used to travel 40 kilometers one way on Delhi's busy roads to the office, and was totally disconnected from her family; working more than 10 hours and spending four hours (sometimes more) on the road each day. Check out Chapter Two and Chapter Three of the Women at Axelerant series.